I own a book of Franciscan Saints, 1 or more per day of the year. Many of the entries are also at Franciscan Media, St. Anthony’s Press. We post them Yearly. We remember their birthdays’ when we follow the Lectionary, their lives’ an example to us. IF THIS link holds there is a large …. 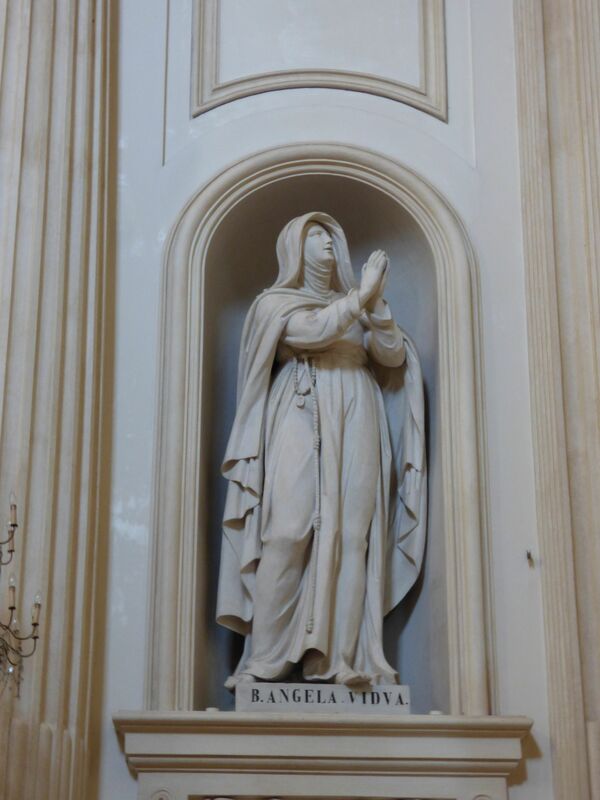 image … of St. Angela of Foligno through it. Some saints show marks of holiness very early. Not Angela! Born of a leading family in Foligno, Italy, she became immersed in the quest for wealth and social position. As a wife and mother, she continued this life of distraction.